Stomach sleeping is the rarest sleep position out there, accounting for just 7% of the adult population. People choose to sleep on their stomachs for a variety of reasons, from habit to comfort and pain relief, but like any other sleep position, most who choose it can’t imagine sleeping any other way. Without the right mattress and pillow, this sleeping position can be really tough on your body. It puts a ton of pressure on your spine and chest, which may lead to back and neck pain, difficulty breathing, tingling nerves, pressure point pain and general achiness. The National Sleep Foundation even suggests that stomach sleepers try a new sleep position altogether. But we understand that’s a pretty steep request. 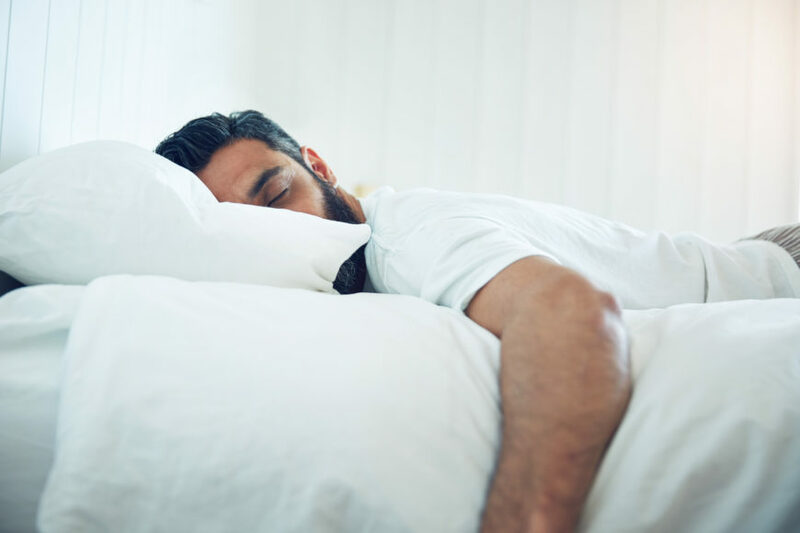 Read on to learn more about what stomach sleepers should look for in a mattress and which mattresses can provide optimal comfort and support in this position. What should stomach sleepers look for in a mattress? When looking for a new mattress, two of the most important things to consider are firmness and construction. Mattress firmness is a really important detail to consider when choosing a mattress for stomach sleeping. When you sleep on your stomach, your hips, chest, shoulders, and other body parts press into the mattress throughout the night. To avoid pain at the pressure points and difficulty breathing, you’ll want to find a mattress that’s slightly soft on the top, but firm enough to provide spinal alignment. For this reason, a medium-firm mattress is usually the best bet for a stomach sleeper. The ideal mattress doesn’t allow you to sink in too deeply, but is still soft enough to provide relief at pressure points. If you find yourself sinking into the mattress, you’re likely to wake up with a sore back. Sometimes, a firm mattress with a softer top layer will also do the trick. A medium-firm mattress is usually the best bet for a stomach sleeper. 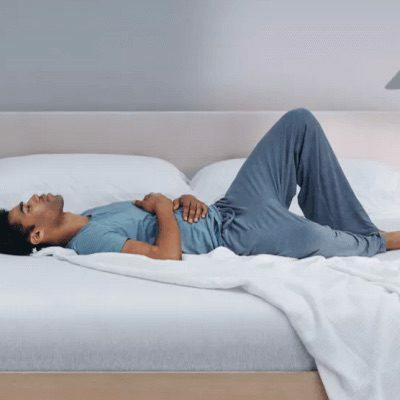 Multi-layered memory foam mattresses are usually comfortable for stomach sleepers, as they provide support while still lending comfort to pressure points. 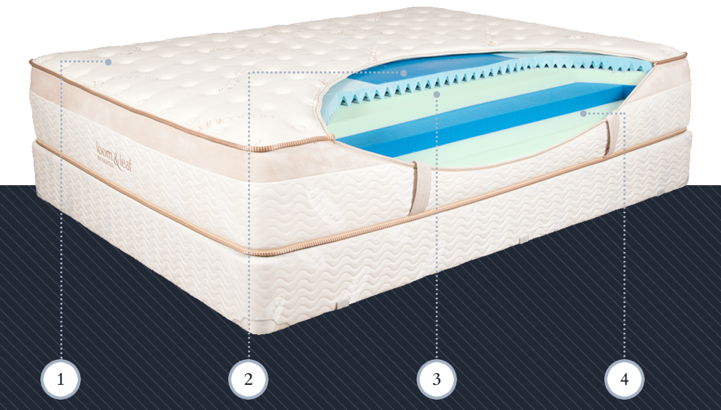 A firm mattress, such as an innerspring, latex, or hybrid type, can still work, especially when it has a softer top layer. 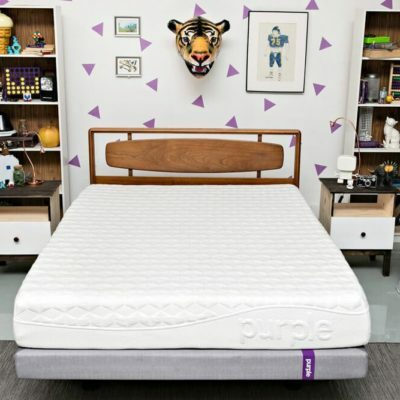 On many mattresses, this soft top layer is important for reducing pressure on your joints. Whatever you choose, you’ll want something doesn’t break down too quickly, as a sagging mattress will not be comfortable for a stomach sleeper. Stomach sleepers will also want to stay away from waterbeds and other mattresses with extremely soft surfaces or lingering depressions. Stomach sleepers are a rare (err, special) breed. This position is the most different from others which means that some mattresses that are comfortable for stomach sleepers are not the best choice for side or back sleepers. This makes for a tricky conundrum when selecting a mattress for two. 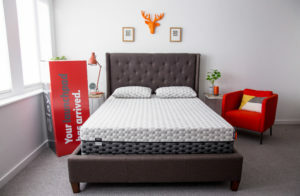 If you and your sleeping partner are not both stomach sleepers and have trouble agreeing on a mattress that’s comfortable for both, consider getting a split mattress so each person’s needs are met. 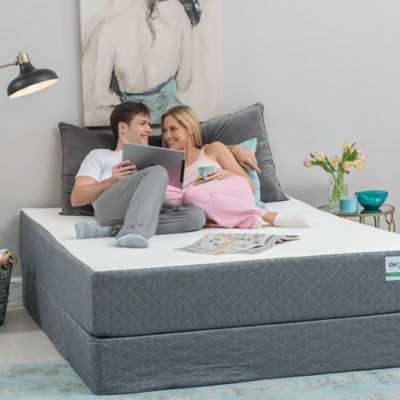 Memory foam mattresses tend to be most comfortable for stomach sleepers as they provide support while still lending comfort to pressure points. 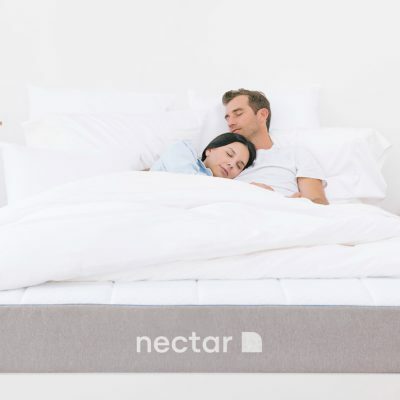 Check out the chart below to see some of our top mattress picks for all the stomach sleepers out there. You’ll find information like customer rating, return policy, price, and materials. Below the chart, you’ll find more in-depth information on each of our selections—things like customer reviews and why each might be a good fit for you. 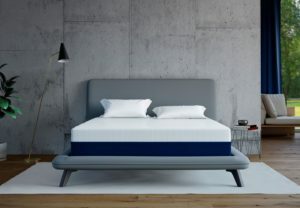 The Layla is unique because you can actually sleep on both sides of the mattress depending on the level of firmness you prefer. If you’re not sure whether you prefer firm or soft, then the Layla might be a good option for you. All you have to do is flip your mattress to the preferred side. 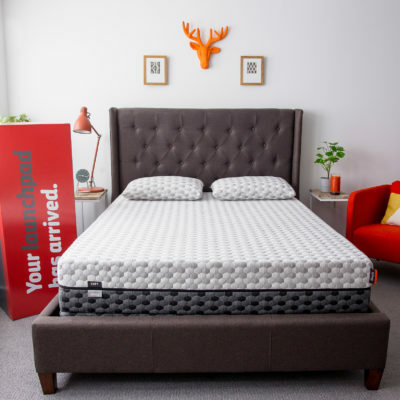 Layla is also one of the few mattress brands of their kind to infuse copper in their foam. Copper is known to help reduce joint inflammation and ease joint pain/stiffness, which is especially helpful for people with rheumatoid arthritis and osteoarthritis. “From the first night, I slept so much more soundly. I don’t even recall rolling over once. I used to wake and roll every half hour on my old foam bed. This is such a relief.” – Jody S.
“I have had it for 2 months now and I love the bed more than anything. I wake up refreshed and we’ll rested everyday. 10/10 recommend this bed and for the price it out preforms their biggest competition Tempur-Pedic no doubt.” – Garrett L.
Delivery: Layla ships free and will arrive at your door in 4-7 business days. 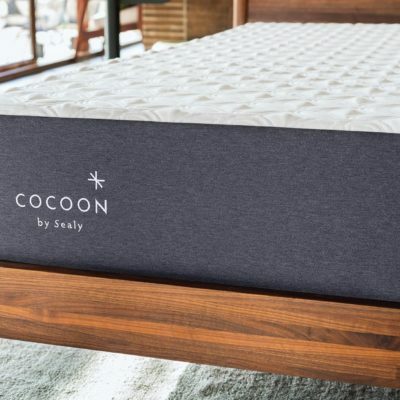 Foundation: Layla recommends these options for a mattress foundation: put it on the floor, use a traditional bed that requires a box spring, get a platform bed, or try an adjustable bed frame. 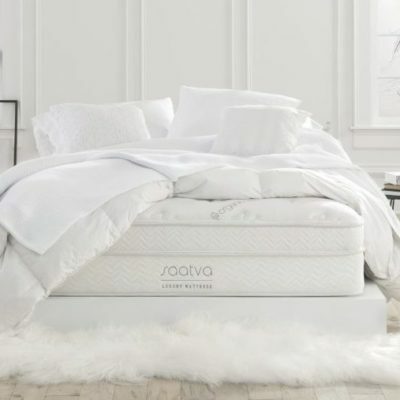 Return policy: If you decide to return your Layla within the 120-night trial period, there are zero return fees and you do not have to worry about fitting your mattress back in the box. Layla will arrange to have your mattress picked up from your home with no additional effort or cost on your part. 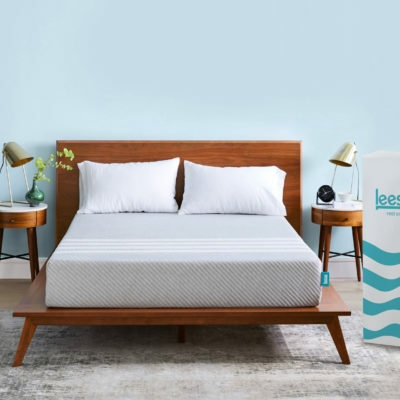 The Leesa is a three-layer foam mattress with medium-firm support, making it a good option for stomach sleepers as well as other sleep positions. The top layer is soft and cooling, the middle layer provides contouring and relief for pressure points, and the bottom layer contributes to support and durability. “My only regret is not buying this bed earlier. It’s the perfect blend of supportive but soft. Sleeping on the stomach, side or back are all very comfortable. We love it!” – Erin S.
“I’m not gifted with the right words to write this review. It’s soft yet firm? Inviting but not overwhelming? Cool yet comforting? 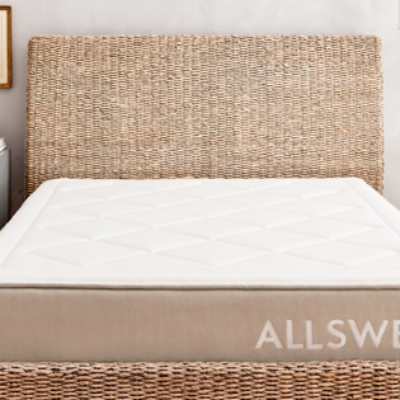 All I know is it’s perfect, and I love it.” – Phoebe S.
The 12-inch Loom & Leaf mattress is available in a firm or relaxed-firm variety. Both will work for stomach sleepers, it just depends on how much support and softness you are looking for. 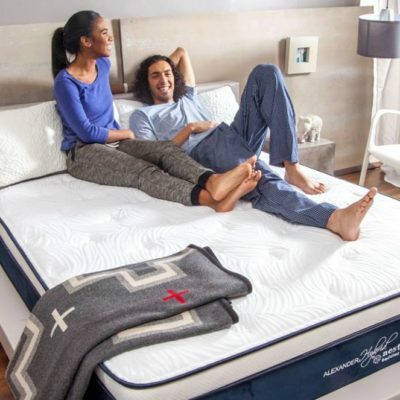 The relaxed-firm mattress will be a better choice for people with sensitivity in the chest, hips, and other pressure points, as it provides a bit more soft cushion. 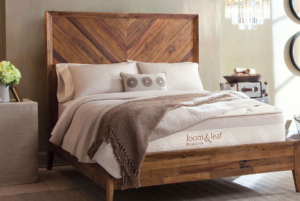 “Initially I wanted a tempurpedic but after much research, we decided to try loom and leaf–the price point and organic materials were the two main reasons. Wow, after two weeks I am sleeping the best I have slept in years. My husband gets up a lot at night, and this used to wake me every time it seemed. Now, I do not wake and cannot even feel when he gets up out of bed! 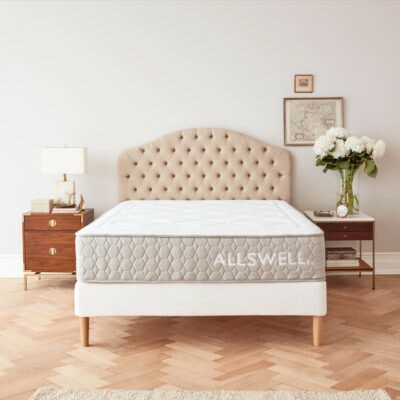 I love waking feeling refreshed, and I absolutely love this mattress.” – Meridith K.
“We are so happy to have discovered this mattress! I had been suffering from lower back pain for the last several months, and simply couldn’t get comfortable during the night. I would toss and turn every 30 minutes or so, leaving both me and my poor husband exhausted by morning. I wanted a TempurPedic but the price tag was not an option for me. When I learned about the Loom and Leaf mattress, I had to give it a shot! And I’m so glad I did! You can truly feel your back being supported, and the mattress just cradles you right in the position you want to lay in. Perfect balance of soft foam and firm support. Sleeps cool, as far as I can tell. 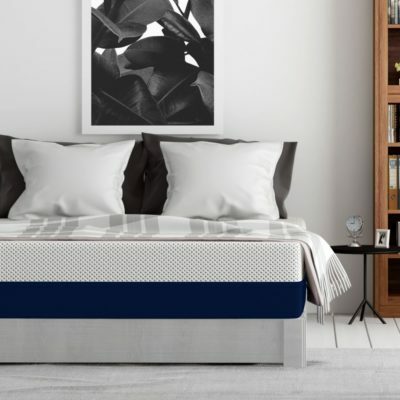 And I loved that there was NO odor when it arrived, unlike another brand we had tried previously.” – Jennifer C.
The Amerisleep AS2 is a soft and supportive medium-firm foam mattress with a cooling memory foam layer. It contours to your body and retains its shape as you move while sleeping. Stomach sleepers say that this mattress reduces morning achiness. It’s environmentally friendly, meeting Clean Air Act standards and shipped in a box comprised of recycled materials. High-performance Celliant cover: Designed to convert your body heat into infrared. Delivery: The Amerisleep AS2 Ships free to the lower 48 states and usually arrives within 5-10 business days. Setup: The AS2 mattress comes compressed, rolled and boxed. 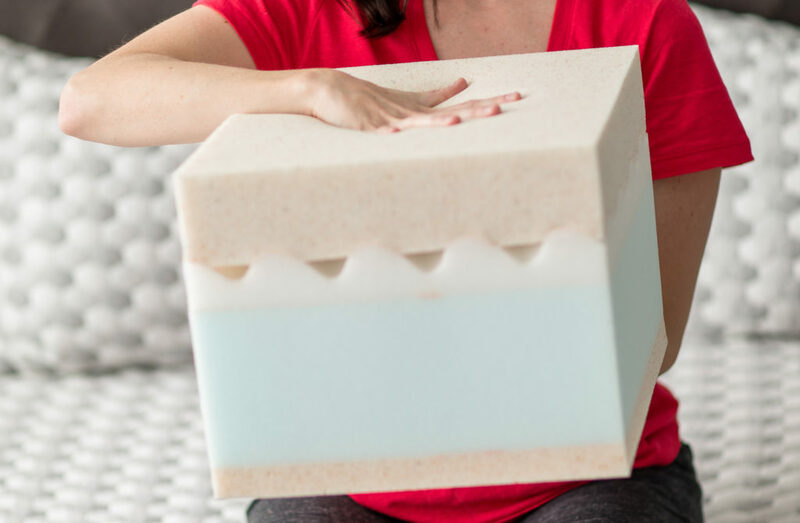 You will simply unbox the mattress, unroll it on your foundation (if you’re using one), and wait for it to expand. You can also watch this video to see how it’s done. Foundation: Amerisleep recommends a flat surface for the AS2. You can use a flat or slatted frame, box spring with plywood, adjustable base or even set it on the floor. 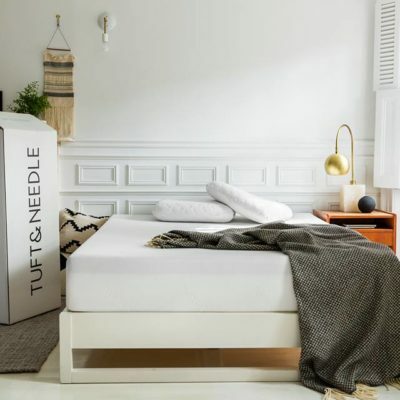 Return policy: If you are not satisfied with your AS2 within your 100-night trial period, they will help you donate your unwanted mattress and give you a full refund. 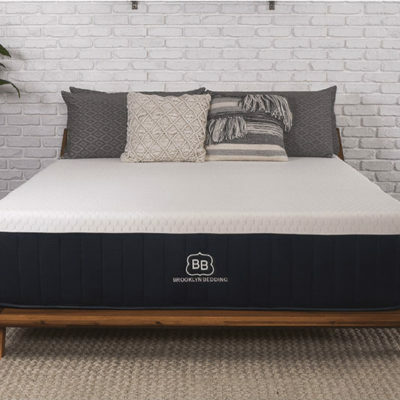 The Brooklyn Bedding Brooklyn Signature (medium) mattress is a great choice for stomach sleepers, including those who are part of a couple with varying sleep preferences as it’s also a good option for side and back sleepers. 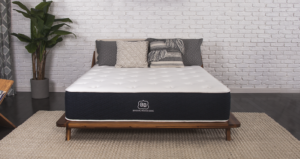 One quality that makes this mattress a good pick for stomach sleepers is that it is firm but not so hard that it will irritate pressure points. It also incorporates responsive technology, so it will adjust as you move throughout the night. This makes it apt for stomach sleepers who are prone to experiencing back pain from a sagging or indented mattress. 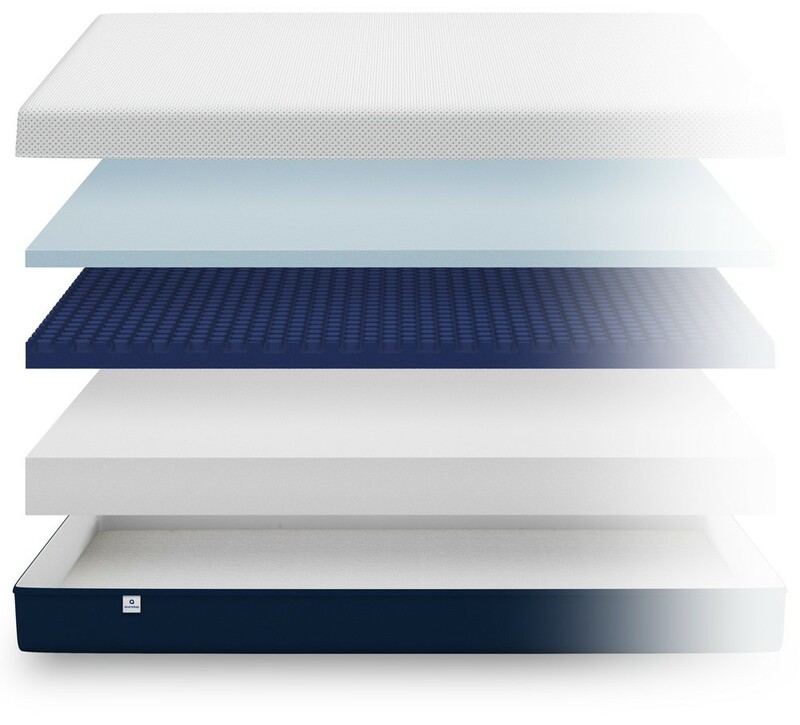 A 2-inch foam top layer with responsive technology that adjusts as you move throughout the night. This layer also includes a cooling gel. A 2-inch high density foam middle layer that provides support and contouring. A 6-inch high-density foundation layer for structure, durability, and firmness. Delivery: Free shipping within the contiguous United States, with packages arriving within 4-8 business days. Fedex two-day shipping is available with some orders for a flat $75 fee. 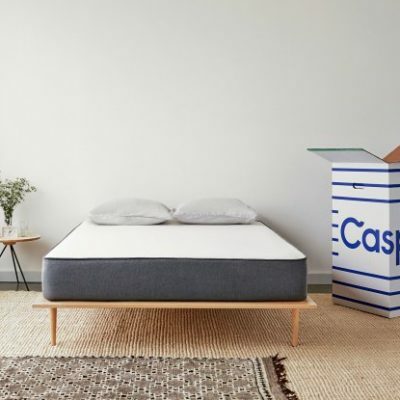 Setup: The Brooklyn Signature mattress comes compressed, rolled and boxed. You will simply unbox the mattress, unroll it on your foundation, and wait for it to expand. Foundation: The Brooklyn Signature mattress can be used on most foundations, including box springs, platform beds, or slatted bed frames. Return Policy: If you decide to return any Brooklyn Bedding mattress within the 120-day trial period, simply contact Brooklyn Bedding to schedule a return and you will receive a full refund. What else can stomach sleepers do to find comfort in bed? Aside from trying to change your sleeping position (which trust us, isn’t easy), there are a few things stomach sleepers can do to alleviate pressure that’s placed on the head and neck in this position. Put a pillow under your pelvis. This will help keep your back in a more neutral position and take pressure off your spine. Stretch in the mornings. A few minutes of stretching will help get your body back in alignment and gently strengthen supporting muscles. Be sure to warm up with a little movement before stretching, and be gentle! Stomach sleepers: while you may not necessarily have picked the most “healthy” sleep position out there – you still deserve comfortable, uninterrupted sleep. 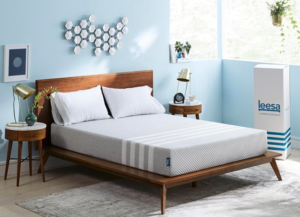 We hope this guide provides you with helpful tips on choosing a mattress that will give you just that. If you still have questions, drop us a line in the comments below.